Maddie Finn is back! 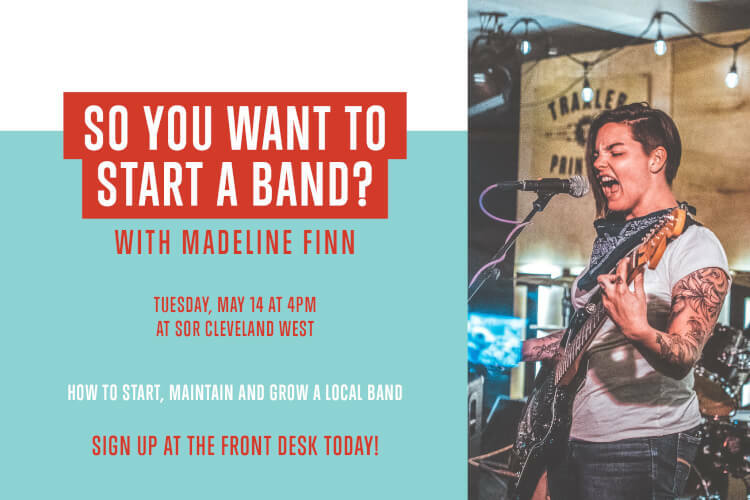 In this workshop, she'll be sharing tips on starting and growing your local band! Including finding the perfect bandmates, musician etiquette and professionalism, Cleveland music scene 101, merchandise, and recording! The workshop will take place May 14th at 4PM.